Getting the word out and engaging your audience is essential to the success of your non-profit organization. Snoozester partners with non-for-profit organizations to create innovative campaigns that engage members and get the word out about your cause. 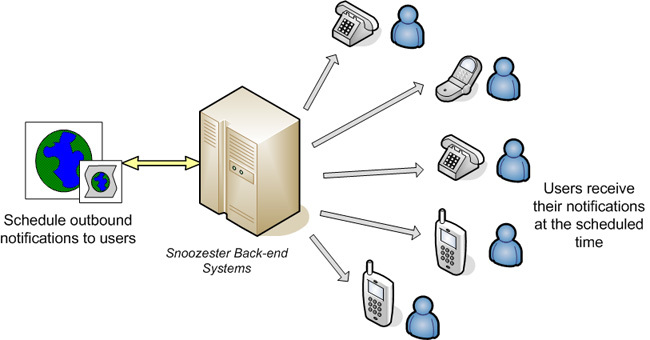 Using Snoozester's Message Blast service, you can engage your audience by running a custom Wake Up Call / Reminder Call campaign. Your new and prospective audience schedule calls online and receive them on their phones. The call greetings can be any type of content (reminder about important events, get-out-to-vote calls, etc). Learn how a partnership with Snoozester can you can Get the Word Out About Your Cause and Engage Your Audience.